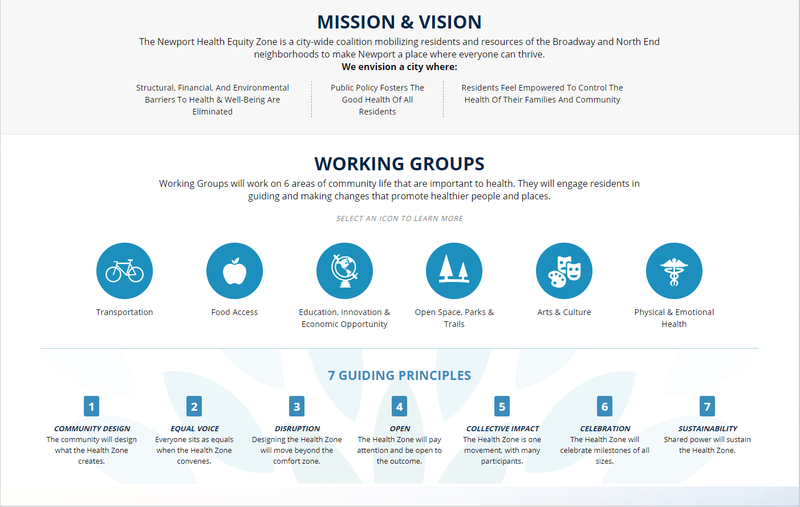 The Newport Health Equity Zone (HEZ) is a city-wide coalition mobilizing residents and resources of the Broadway and North End neighborhoods to make Newport a place where everyone can thrive. 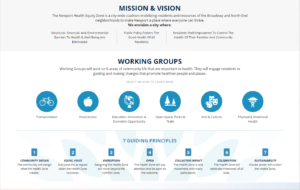 Funded primarily through the Rhode Island Department of Health, the WRC serves as the backbone agency for this place-based collective impact project designed to decrease health disparities in Newport. Among their many accomplishments, HEZ sponsored the first weekly farmers’ market in the neighborhood, piloted a fellowship program that resulted in six residents becoming certified community health workers, and launched our Fresh Zone initiative, which promotes fresh fruits and vegetables in corner stores and food pantries.